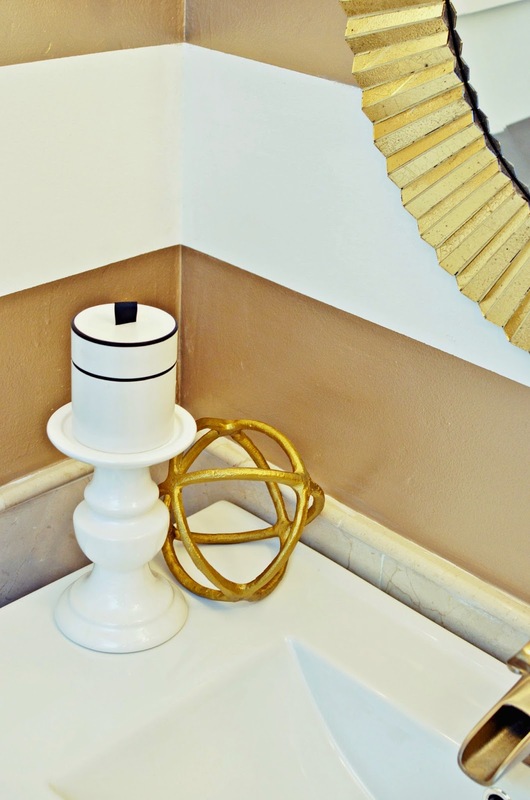 Live Laugh Decorate: Gold, Brass + Brushed Nickel, Chrome = Yes Please! 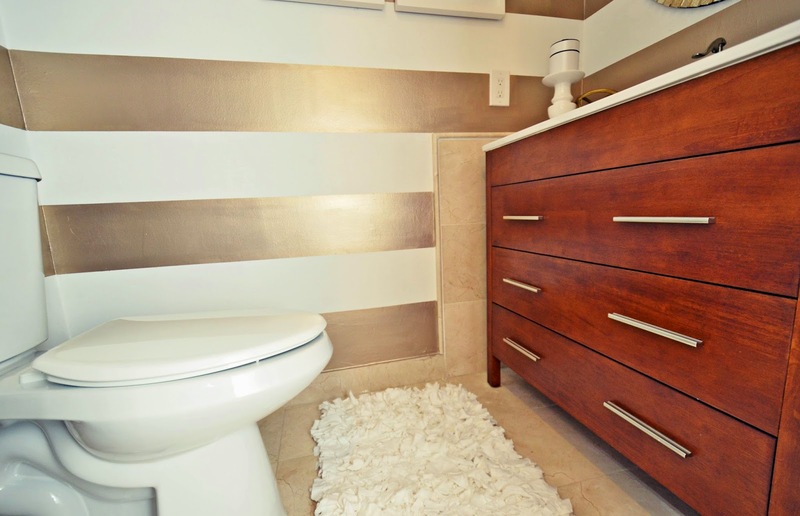 Gold, Brass + Brushed Nickel, Chrome = Yes Please! I'm always surprised to find that clients, and followers who message me on Instagram are still so scared to mix metals! I mix gold and silver all the time in fashion, and apply the same "break them rules" principle in my design. 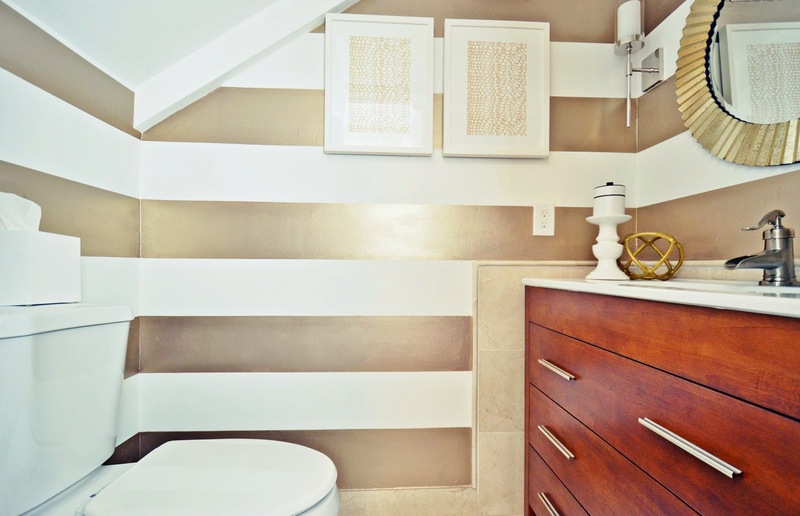 The sources in the above "Metals Mashup" were from this powder room reveal. 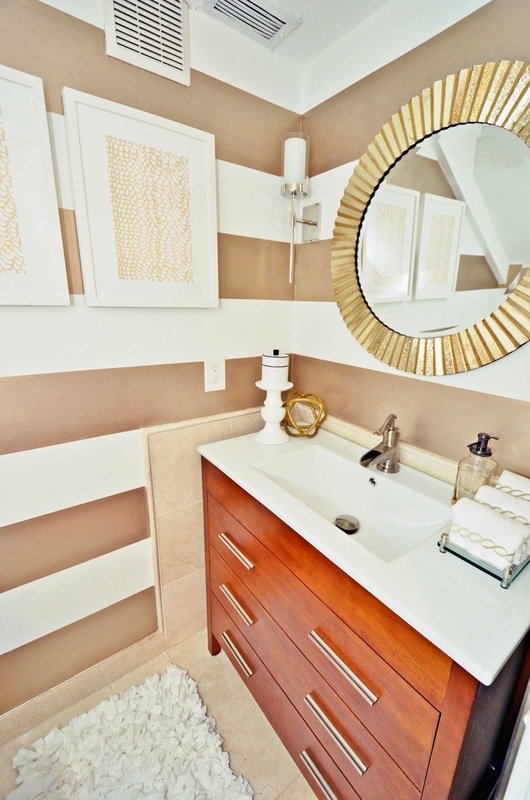 Gold stripes were the bold choice in the space, paired with brushed nickel hardware on the vanity and faucet, and a chrome finish on the wall sconces. 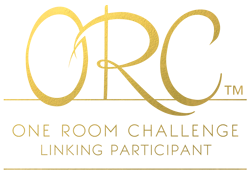 The pairing works because the silver notes help balance the boldness of the gold on the walls and the gold of the mirror. If you're still scared to mix metals, then start with something simple and inexpensive to "test the waters". 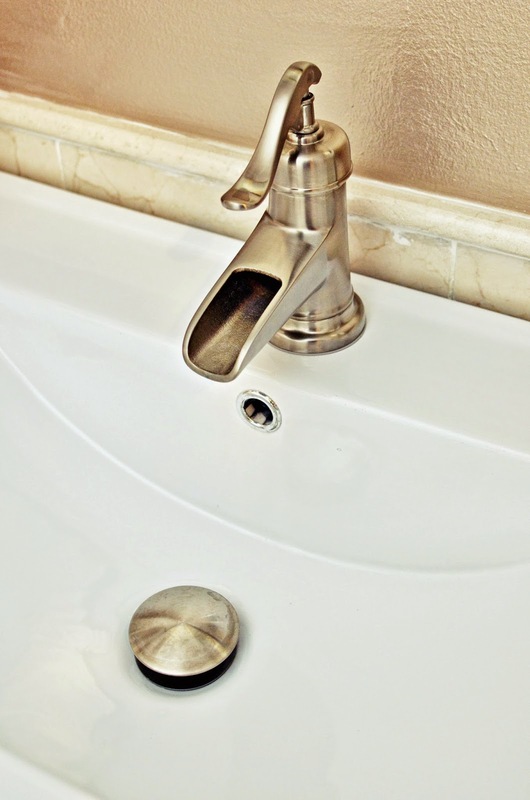 Brushed nickel pulls like the ones on this vanity average about $2 and won't break the bank if you change your mind. The opposite principle also applies. 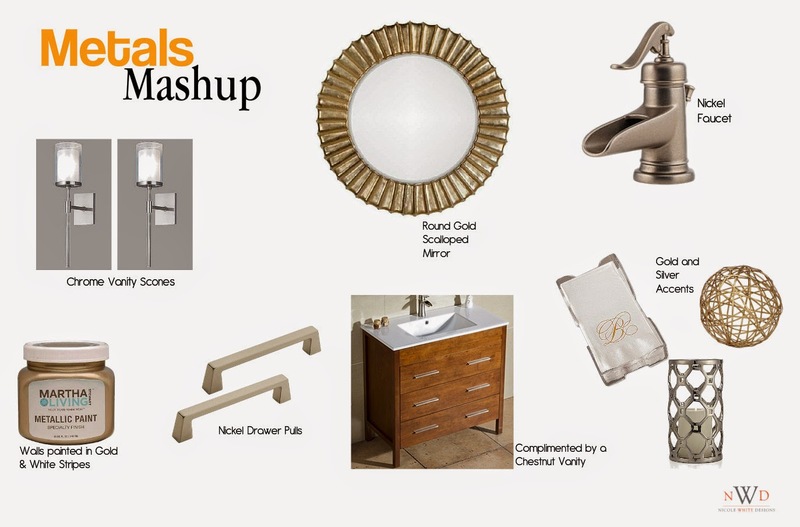 If you had silver tones throughout a space like a powder room, then consider adding a brass faucet to add a wow factor to your very own metal mashup. The bottom line: take a chance when designing. There's nothing worse than living a life of regrets. Happy mixing! Let us know how/if you've mixed metals and send us a link so we can go check it out. I think it looks beautiful!!! I love mixing metals!!! Adds interest plus personality! Great post! I agree 100%. The mark of an amateur is making evvvvvvvvverything match. I love this color of gold. That room looks beautiful.